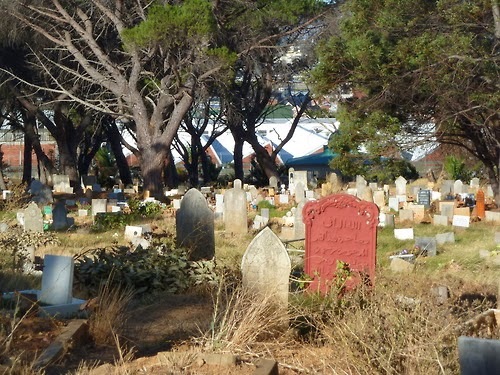 Muslims have been given more than 100 burial spaces at the Maitland Cemetery, a meeting between the Muslim Judicial Council’s (MJC) Cemetery Board (MANCOM) and the City of Cape Town concluded on Wednesday. The extra space is welcomed news after research conducted by the City of Cape Town showed that existing cemeteries have almost reached their capacity and there is a dire need for more cemeteries in the Western Cape. The Chairperson of the MJC Cemetery Management Committee Shaykh Riad Fataar and Executive Member Imam Aamin Schroeder attended a site inspection with cemetery coordinator of City Parks Cape Town Susan Brice and supervisors of the Maitland Cemetery. “We are happy that the City of Cape Town has accommodated the Muslim community via the MJC and made more than 100 burial spaces available for us,” Shaykh Fataar said. “The City will erect a border to outline the area and provide surveyors to plan the layout of the graves. The Kibla direction will also be considered,” Shaykh Fataar continued.